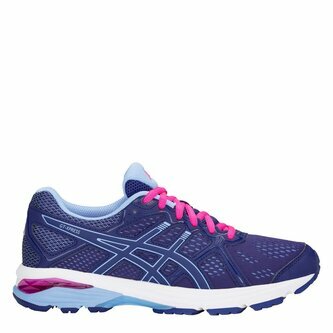 If you want running shoes that will last you whilst being exceptional value then these Asics GT Xpress Ladies Running Shoes in Blue are the ones for you. The Asics GT-Xpress Running Shoes utilise Asics' renowned GEl Cushioning in the heel designed to attenuate shock during impact phase, for super smooth transitions. The Guidance Trusstic System Technology maintains the structural integrity of the shoe. The high-abrasion rubber reinforces critical impact points on the outsole. The engineered mesh upper offers a breathable environment with dynamic support.